Can an LLC Be Taxed Like an S Corp? A limited liability company, or LLC, has the advantage of being able to choose how it will be taxed for federal income tax purposes. This choice is dependent upon the number of members, or owners, the LLC has and the application of IRS rules. Depending upon these factors, an LLC can be taxed as either a sole proprietorship, a partnership or a corporation. If the company chooses to be taxed as a corporation, it can make all of the same federal tax elections as any regular corporation, even though it remains an LLC by law. An LLC is a hybrid entity with characteristics of a corporation and of a pass-through business entity. A pass-through entity, as defined by the IRS, is a business, such as a sole proprietorship or a partnership, that is not taxed at the business level. All profits and losses are passed through to the owners of the business to be reflected on their personal income tax returns. In fact, the IRS does not recognize the LLC as one of its official business entities at all. LLCs are a state law construct. The IRS requires an LLC to be classified as one of the business types that it does recognize: a sole proprietorship, a partnership or a corporation. An LLC must tell the IRS how it wants to be taxed. The IRS does not recognize the LLC as a taxable business entity. Instead, the agency requires new LLCs to apply certain rules to determine how the IRS will treat the company for tax purposes. If the LLC has a single member, it is taxed like a sole proprietorship by default, but it can elect to be treated as a corporation. If the LLC has multiple members, it is taxed as a partnership by default but can elect to be treated as a corporation. Both a single-member and a multi-member LLC can use IRS Form 8832, Entity Classification Election, to elect to be taxed as a corporation. This election doesn't change the basic nature of the company; it is still an LLC, not a corporation, at law. The election merely determines what type of federal tax return the company will file. Typically, however, an LLC is formed to take advantage of corporate-level limited liability for the company's owners while enjoying the tax benefits of a pass-through tax entity. Electing to be taxed as a corporation obviates much of the tax benefit of forming an LLC. An LLC that elects to be taxed as a corporation, in many instances, should have just formed a corporation from the beginning. To regain the benefit of pass-through taxation, an LLC that has elected to be taxed as a corporation can make another tax election under Subchapter S of the Internal Revenue Code. Instead of being taxed under Subchapter C and considered a regular "C" corporation, the LLC can be taxed as a small business corporation, or "S" corporation. This federal tax election allows a regular corporation to be taxed as a partnership. Hence, a single-member LLC that could not elect to be taxed as a partnership could elect to be taxed as a corporation and make the Subchapter S election on IRS Form 2553, Election by a Small Business Corporation. In this way, it would receive the same benefits as a multi-member LLC that was able to elect partnership taxation as an initial matter. A multi-member LLC is less likely to choose corporate taxation, but if it does it can also elect to be treated as an S corporation. Every individual and independent business entity in the United States that is required to pay federal taxes must have a taxpayer identification number assigned by the IRS. For individuals, the number is called a Social Security number. For businesses, it is an employer identification number, or EIN. 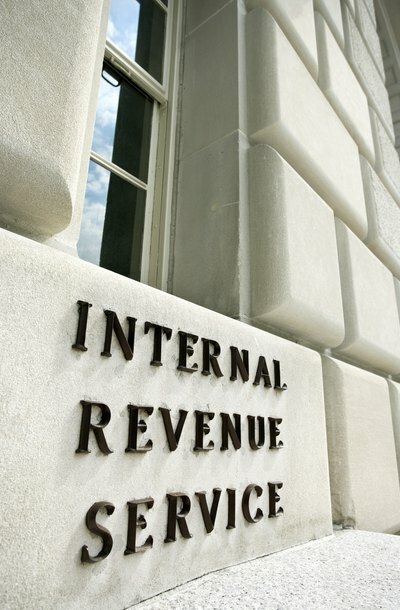 A business can obtain an EIN by using the electronic application on the IRS website, by mailing in the appropriate form or by calling the IRS directly on a phone line dedicated to assigning tax identification numbers.